Serious times. Dr Tenpenny is also being heavily censored. This should be ringing very loud alarm bells for those who ascribe to the alleged safety of vaccines. Police have raided the laboratory of two world renowned scientists who recently discovered evidence of nanoparticles polluting nearly every major vaccine. 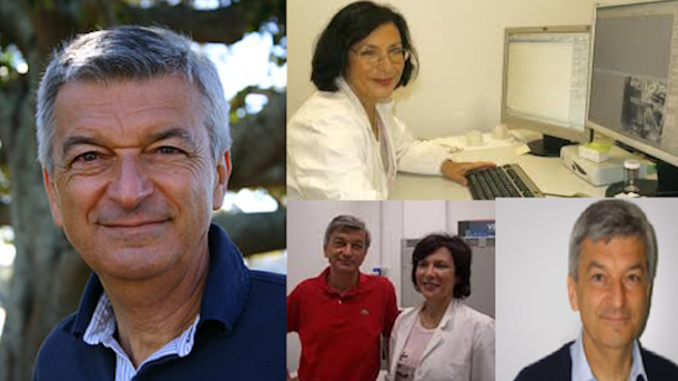 Dr. Antonietta Gatti and her husband Dr. Stefano Montanari founded an Italian laboratory called Nano-diagnostics for the evaluation of the pathological tissues of patients. Collective-evolution.com reports: Recently, the Italian police raided their home, the police took all digital assets that were owned by the the two nanopathologists, including laptops, computers, and flash-drives, basically years of work and research. yes! They even ADMIT it ! !